DVDizzy.com • View topic - Mickey's Madhouse information? Post subject: Mickey's Madhouse information? However, I have precious little information to go on about Mickey's Madhouse, mainly because they give so little information pertaining to it. All I know about it is that it was going to be a thrilling dark ride/roller coaster hybrid based on the 1930s black-and-white Mickey Mouse cartoons and set to rollicking ragtime music. Ward Kimball had designed this ride to be an indoor attraction, through a handful of scenes of old Mickey cartoons (about five or six in all). But that's really about all I know about it. I also have some questions based on this. First, was there supposed to be a story based around this attraction, or was it just going to be a bunch of random vignettes? Second and more important, how would classic cartoons like these fit in a circus setting? It seems similar to the Winnie the Pooh ride, which takes the different Pooh stories and blends them into one attraction (and even then, it's most beholden to "Winnie the Pooh and the Blustery Day", which is the only classic Pooh cartoon to feature ALL of the Pooh characters at once). 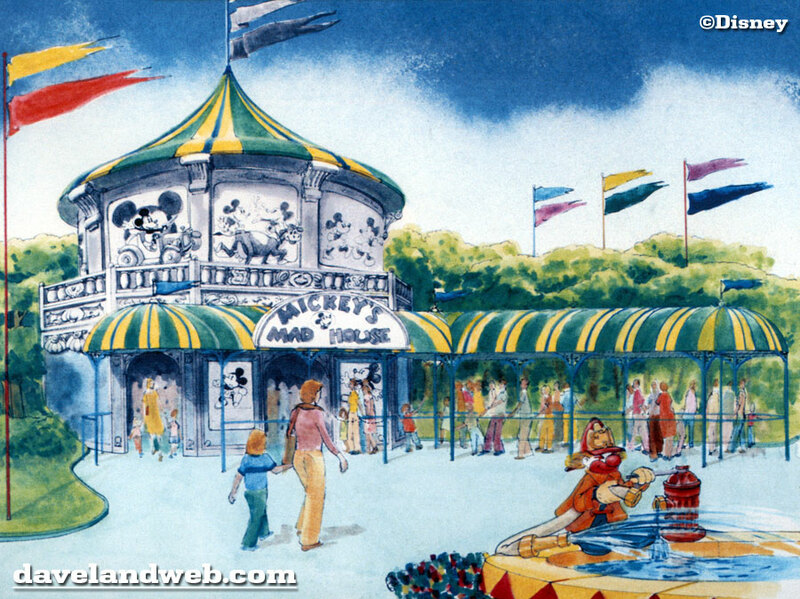 That type of dynamic is completely fine for an attraction, but I'm not sure how classic Mickey Mouse cartoons would have fit in Dumbo's Circusland, which is themed around one particular setting: namely, the circus. Can someone please shed some light if they can? Post subject: Re: Mickey's Madhouse information?